Unless a person is allergic to the venom of a particular bug or insect, most Insect Bites and Stings are harmless. For those who are allergic, however, the reaction to a bit or sting may be very dangerous and may warrant emergency medical care. Topical ointments to reduce inflammation and itching are often used at home, as well as antihistamine medications. However, in the case of an allergic reaction or multiple bites or stings, a visit to the dermatologist may be helpful in decreasing the discomfort. 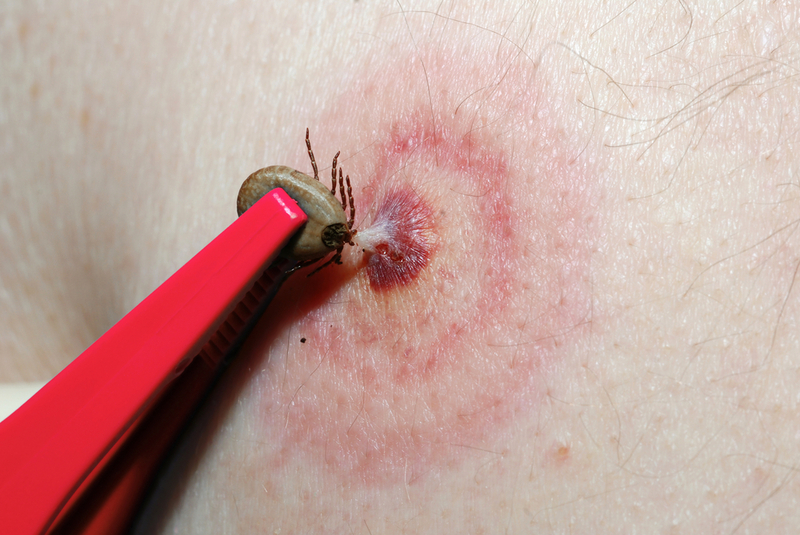 A red, round rash that has a white center, often described as doughnut-shaped — especially if you know you have been bitten by a tick: This could be a sign of Lyme disease, which needs immediate treatment. A red or black, spotty rash that spreads and is accompanied by a fever: This may be a sign of Rocky Mountain spotted fever, a bacterial infection carried by ticks that should be treated immediately. Most bug bites and stings do not cause harm and are merely an irritation or temporary nuisance. However, if you feel very tired, have a headache, fever or body aches, or you develop a rash after a bug bite, contact our office or seek emergency medical care immediately.